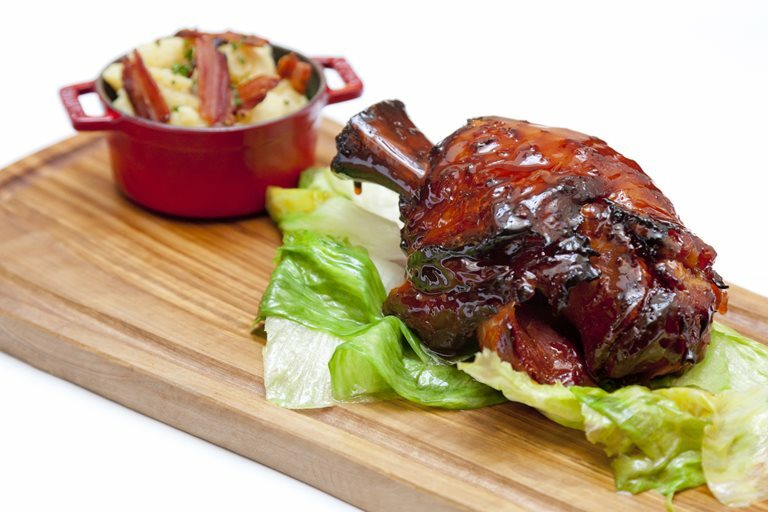 This beer-glazed ham hock recipe is certainly a sight for sore eyes, making a fantastic Sunday lunch option. The hocks are cooked in pilsner, ginger and honey, before reducing the cooking liquor to make a sticky glaze for roasting. Allow 1 small ham hock per person for William Drabble's recipe.